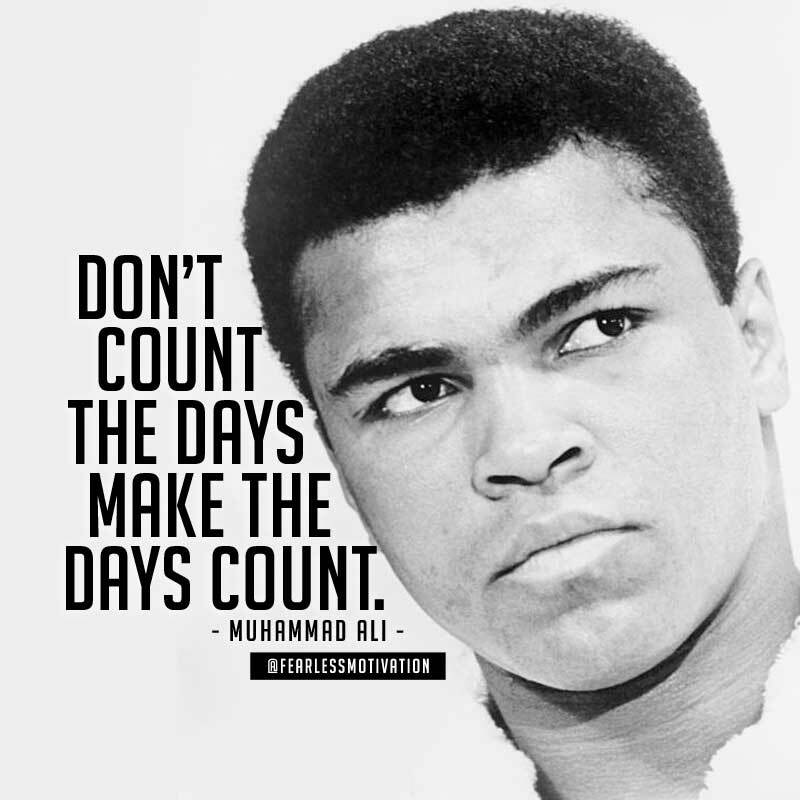 For a boxer, a heavyweight fighter in the most brutal of sports, this last statement seems ironic, and yet Ali’s life was full of ironies. It was perhaps his genius that he transcended so many of them, for both our entertainment and enlightenment. 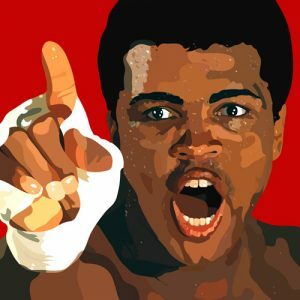 Muhammad Ali was born as Cassius Clay. The elder of two sons, he was raised as a Baptist in a middle-class neighborhood, his father a mural painter, his mother a domestic, his great-grandfather an Irishman who’d married a black girl. School never interested him, but when his bicycle was stolen, a policeman taught him how to box to defend what was his, and Ali found his destiny. Birth data (courtesy Astro-Databank): 17 January 1942, at 6:35 PM in Louisville, Kentucky. All positions in sidereal zodiac. His chart reveals multiple yogas, chief of which is Ruchaka Yoga formed by Mars in Aries in the 10th, where it also gains dig bala. This is a classic signature of a fighter or warrior of the kshatriya class. The Moon/Venus conjunction in the 7th forms Raja Yoga via 1st and 4th lords, and Dhana Yoga via 1st and 11th lords. However, Ali’s lagnesh Moon is dark and therefore weak. Although Ali had a massive public following and generated major earnings as a prizefighter, for several years he was vilified for his political views, and stripped of his boxing license in his peak earning years. The Mars/Saturn conjunction in the 10th forms Raja Yoga via 5th and 7th lords. Saturn is retrograde, but its debilitation complicates the yoga. Although Ali won the heavyweight boxing title, he was subsequently stripped of it, and later obliged to win it back. The Moon/Sun conjunction forms another Dhana Yoga via 1st and 2nd lords, again diminished somewhat by the weak Moon. The Sun/Mercury conjunction forms Budhaditya Yoga. Although Ali did poorly in school and later confessed he should have applied himself more, he had a native wit and a facility for “trash talk” that delighted his fans and infuriated his opponents. Four planets – Sun, Moon, Mercury and Venus – form Pravrajya Yoga. Typically considered a spiritual yoga, its 7th house cluster is perhaps what made Ali an emissary – of America, of Islam, of boxing itself. The debilitated planet (Saturn) must be associated with or aspected by its dispositor (Mars.) Check: Mars is in Aries with Saturn. The dispositor (Mars) of the debilitated planet (Saturn) must occupy a kendra. Check: Mars is in the 10th. For the sign (Aries) in which the planet (Saturn) is debilitated, the planet (Sun) that gets exalted in that same sign (Aries) should be in a kendra. Check: the Sun occupies the 7th. For the sign (Libra) in which the debilitated planet (Saturn) is exalted, its lord (Venus) must be in a kendra. Check: Venus is in the 7th. Reinforcing the strength of that Neecha Bhanga Raja Yoga, note that all four conditions above occur from both the lagna and chandralagna! Much of Ali’s life is mirrored in the strengths and weaknesses of his chart. First, he was a fighter. His powerful Mars in the 10th aspects both the ascendant (body & persona), and its own sign Scorpio in the 5th (mental qualities, showmanship). It’s also in kendras from both the Sun and Moon. Yet when he stood his ground, his fists seemed to come out of nowhere with blinding speed, often in a killer combination, of which he had several. Holding his hands low, he’d lash out with a quick, cutting left jab from an unpredictable angle, sometimes three to five rapid-fire jabs at his opponents’ eyes to create a blur in his face so he wouldn’t see the right hand coming behind it. His Mars/Saturn conjunction is itself a symbol of brute-force physics: momentum versus inertia. Ali was able to take incredible punishment, and he could deal it out, sometimes accused of inflicting cruelty upon his opponents. Doesn’t that sound like a Mars/Saturn conjunction? Nobody wins that war. When he fought Joe Frazier, Ali called him the son of a sharecropper, and a “dumb tool of the white establishment.” He said, “Frazier is too ugly, and too dumb, to be champ.” He called him a gorilla, and brandished a rubber ape in his face. In one pre-fight interview, Ali threw so many taunts at Frazier that the other fighter jumped him on camera and wrestled him to the floor. 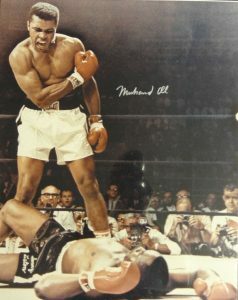 Although Ali went on to defeat Frazier in Manila, sports analysts said the fight was so brutal that it ruined both men. Frazier would forever talk thereafter with pride about how he’d contributed to Ali’s Parkinson’s Disease, and he probably did. Although a born fighter, Ali was also an admirable proponent of his adopted Islamic faith, a true jihadist. The gross (shtoola) form of jihad is war with others; the subtle (sookshma) form is war with the demons inside oneself. Although he became a face of America in the world, he knew all too well that America had its own demons. The Pravrajya Yoga has an influence here; the yoga is spiritual but the 7th house invokes confrontation and cooperation. He became an ambassador of three things – American civil rights, boxing, and Islam – to all of which he did credit. The Mars/Saturn conjunction also plays a role in this war of principles. The powerful Mars works for its star-lord Ketu, unaspected in the 8th house. Here Ketu in turn acts for its star-lord Saturn, and we are back to this on-and-off (MA/SA) counterpunching with respect to the 10th house of career, and the 8th of trauma and reversal. These became themes in Ali’s life. Although debilitated, retrograde Saturn aspects its own house, the 7th, place of relationships – sexual, social, business and war. Thus it played out in conflicted marriages, prize fights and a form of international diplomacy. Saturn is in the nakshatra of the Sun, for whom it works. The Sun is atma, the soul. 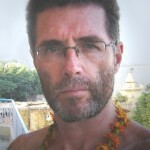 Saturn is sadhana, the self-sacrifice and duty. Sun in the 7th invokes Dhana, Budhaditya and Pravrajya yogas, giving wealth, intelligence and a spiritual soul. Spiritual aspects of Ali’s life included his Baptist upbringing, his early (age 18) conversion to Islam, his friendship with spiritual and political mentor Malcolm X, and his affiliation with Elijah Muhamnmad, leader of America’s Nation of Islam. Marriage was also a battlefield for Ali. Four planets in the 7th house, four marriages. The 7th lord Saturn is debilitated and associated with a powerful Mars. 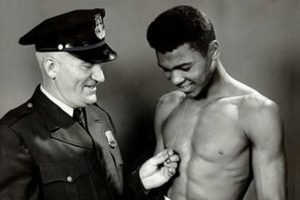 Ali had a cavalier attitude toward women and believed they should be punished if they disobeyed. Saturn’s aspect on both the Moon and Venus are “passion combos,” as Hart deFouw calls them, the libidinous nature of Shani pressing upon the manas and the senses, the aesthetics and the urge to merge. Venus in the 7th is karako bhavo nashto, a situation when the karaka of a thing is found in the house of that same thing. Venus associates with Mercury and is aspected by Jupiter. It also associates with the Sun and the dark Moon (malefic in this phase), and is aspected by Saturn. So, this is shaky rather than steady. In the dasha sequence, we must always note the star-lords of the period lords, for the latter are just employees working for the boss who owns the nakshatra. Ali was born in Moon dasha. The Moon is swa nakshatra (its own star), so it works for itself. Lagnesh Moon in the 7th invokes outreach, travel, conflict and relationships. But Ali saw only the last three years of Moon dasha. Then came Mars dasha, age three to 10. Mars is strong and works for Ketu, who provokes crises and reversals and frustration. Meanwhile Mars also labors on his own behalf – commanding center stage in the 10th, stimulating the body and the persona, cultivating an aggressive showmanship. Rahu dasha (1952-1970, age 10-28) works for its sign-lord the Sun, who occupies the 7th. Rahu also works for its star-lord Venus, retrograde in the 7th. The Sun and Venus are both involved in several yogas from the 7th. This focuses an 18-year dasha on 7th house themes of relationships and “war”. 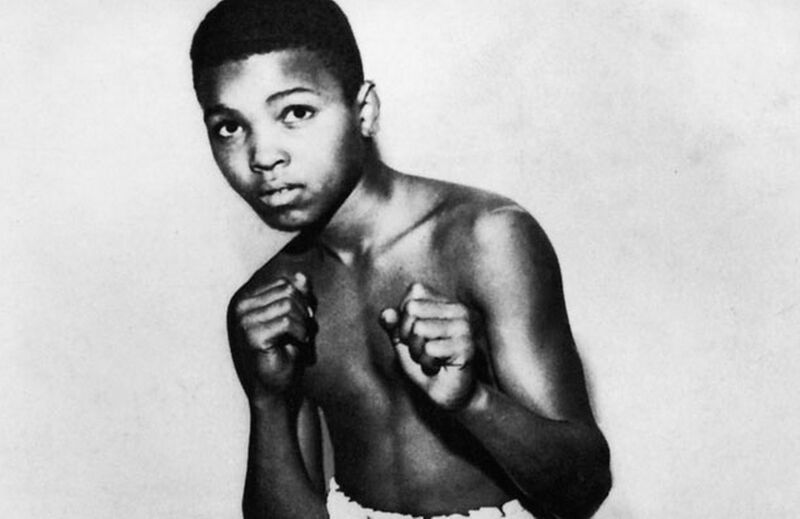 Ali began learning to box at age 12, in Rahu-Rahu. He had his professional debut in Rahu-Mercury. As bhukti lord, Mercury works for the Moon in the 7th, while Mercury itself is in the 7th. He converted to Islam in the same bhukti. Mercury’s not considered a spiritual planet, yet in Ali’s chart it’s associated with or aspected by all three sattvik planets – Sun, Moon and Jupiter. At age 22, during Rahu-Venus, Ali fought Sonny Liston for the heavyweight title. In the same bhukti, they fought a rematch, and Ali won both times. During its bhukti, Venus works for its star-lord Mars. Mars is the karaka of the warrior, and the strongest planet in the chart. By the mid-Sixties, the Vietnam War was at its peak. Previously deferred from the draft, Ali was called up but refused to go, declaring himsself a conscientious objector. Not only that, he used his sound bite to protest the entire plight of blacks in America. He was running Rahu-Sun. The Sun in its own nakshatra works for itself alone. The Sun is the atma, or soul. It is also a kshatriya planet posited in a kendra where it manifests as leadership. It can also indicate a man of principles. 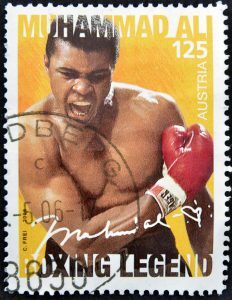 Ali was fined and sentenced, released on bail, but stripped of his passport, boxing titles and license. He did not fight from March 1967 to October 1970, more than three years in the very prime of his physical life. This banishment ran all of Rahu-Moon and Rahu-Mars. Jupiter dasha (1970-1986, age 28-44) works for its star-lord the Moon, who also occupies the 7th. Jupiter also acts for itself, retrograde in the 11th. Jupiter’s aspect on the Moon produces stability in this 16-year dasha. 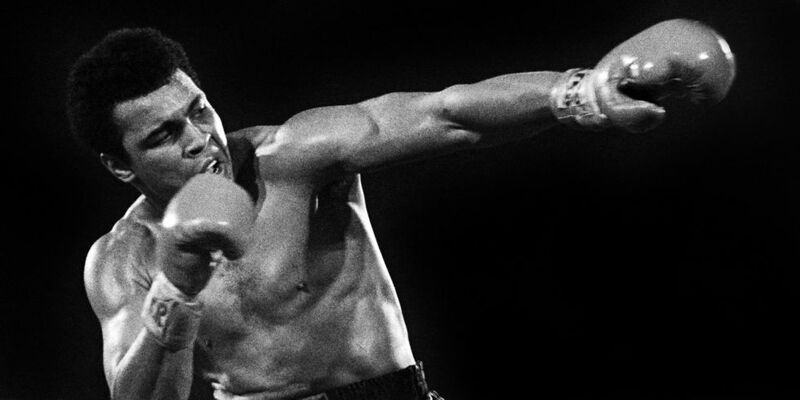 In Jupiter-Jupiter, a federal court ruling ordered Ali’s boxing license reinstated. Aside from its benefic nature, Jupiter rules the 9th of the judiciary and occupies the 11th house of income, which resumed as he started fighting again. Ali fought Joe Frazier in March 1971, and Frazier handed him his first professional defeat. This was just a month before Ali’s Saturn return to that same obstructive place in the 10th. In Jupiter-Saturn, Ali lost again to Ken Norton, who broke his jaw. 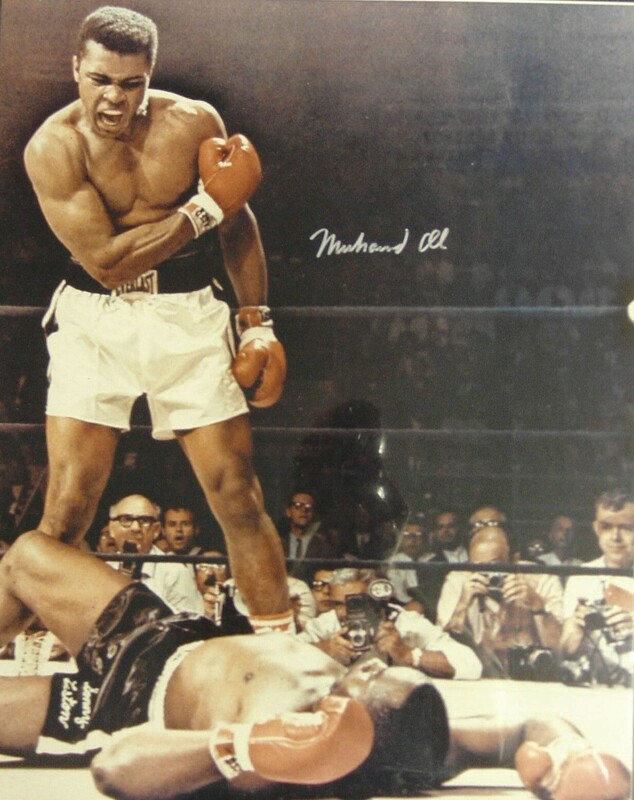 Briefly considering retirement, Ali came back to beat Norton, and then went on to win his second fight with Frazier. In Jupiter-Mercury, Ali was back in top form. He beat George Foreman to win the heavyweight championship, then fought another grudge match with Joe Frazier. The three fights between Ali and Frazier are considered the most brutal series in boxing history. In Jupiter-Ketu, Ali’s star began to fade, the result perhaps of too many punches to the head. 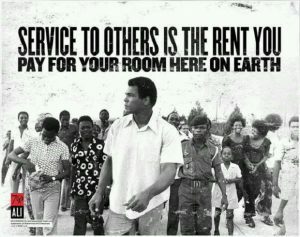 His long-time doctor resigned when Ali refused to retire. In Jupiter-Venus, Ali lost his title to Leon Spinks, fought him again to win it back, then announced his retirement. Around this time he began to struggle with vocal stutters and trembling hands. He lost to Larry Holmes in Jupiter-Sun, a fight that some commentators called an “autopsy,” and almost certainly contributed to Ali’s Parkinson’s. One more loss to Trevor Berbick in Jupiter-Moon, and Ali hung up his gloves for good. Saturn dasha (1986-2005, age 44-63) works for its star-lord the Sun occupying the 7th. Saturn labors for itself in the 10th. Traditional enemies in mutual kendras spell hard times, physically in this case, since both malefics afflict the lagnesh Moon. 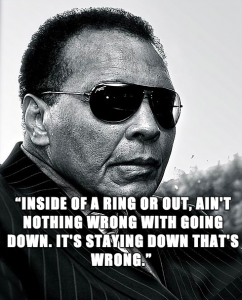 Now in obvious decline, Ali’s diagnosis of Parkinson’s Disease was made public. But he made a shift and became an unofficial ambassador of peace, traveling around America and the world for religious, charitable and political campaigns. He aligned himself with Michael J. Fox to raise awareness and fund research into a cure for Parkinson’s, and marched in protest to support Native American rights. He negotiated the release of hostages from Iraq, convinced Kenya to boycott the Moscow Olympics, and talked a suicidal man off a 9th-floor ledge. Mercury dasha (2005- ) works for the Moon in the 7th. It also works for itself in the 7th. As 7th house occupants, that makes them both maraka planets. Although the Moon is lagnesh, it’s dark and afflicted, and this can manifest as a disturbed manas, the operating system of the body. To judge the manas, examine three factors: lord of the 4th, the 4th house, and the manas-karaka Moon. Problems arise under influences from Saturn or Rahu. Lord of the 4th is Venus, influenced equally by benefics and malefics. Among them is the aspect from Saturn, who also disposits Venus. Two strikes against the manas. The 4th house itself is unoccupied, but aspected by two malefics, one of which is Saturn. Another strike against. The Moon is very dark, both aspected and disposited by Saturn. Three strikes against the manas. Overall, this is not dire, but the fact that the Moon is also lagnesh aggravates the whole prognosis for health. If we examine the nakshatra lords of the navagraha, we see the Moon is the star-lord for three different planets – the Moon itself, Jupiter and Mercury. So when the periods of Moon, Jupiter and Mercury run, they all give results for that Moon. 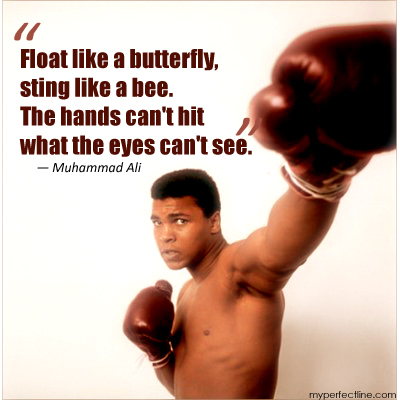 This means that for 30 years of his life, Ali was primarily manifesting the qualities and attributes of his Moon. Ali was free to do what he wanted and, against physical, legal and political obstacles, he made of himself a man the whole world came to admire. He was a fighter of multiple dimensions. Nelson Mandela considered Ali his hero. We all should. The principles he stood for, 50 years ago, are even more important and praiseworthy than ever.